Laguna Phuket, Asia's finest destination resort, offers a wealth of activities, services and facilities, including exceptional golf, a dedicated tours operation, exciting water sports, fine dining, luxurious spas and boutique shopping. Getting around the expansive resort is easy with regular free shuttle bus and ferry boat services. 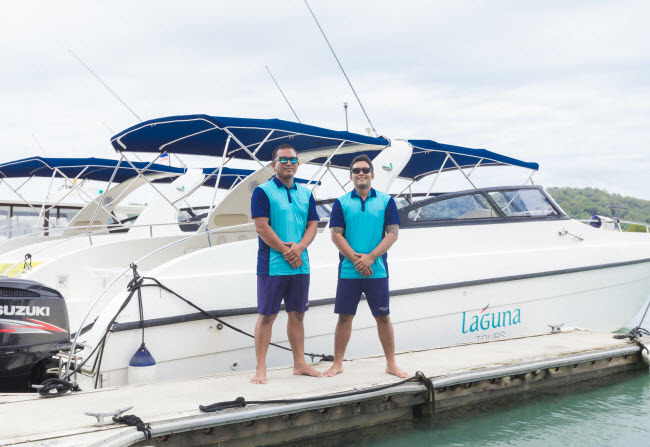 Dedicated to providing guests with the finest services as well as luxurious accommodations and facilities, Laguna's dedicated tours operation offers guests an alternative choice of tours which are more exclusive and flexible than most which are currently available in the Phuket market.